[SPONSORED] We’ve all made an online reservation for a restaurant before, and reserving a room at a hotel is also something we’re all too familiar with. 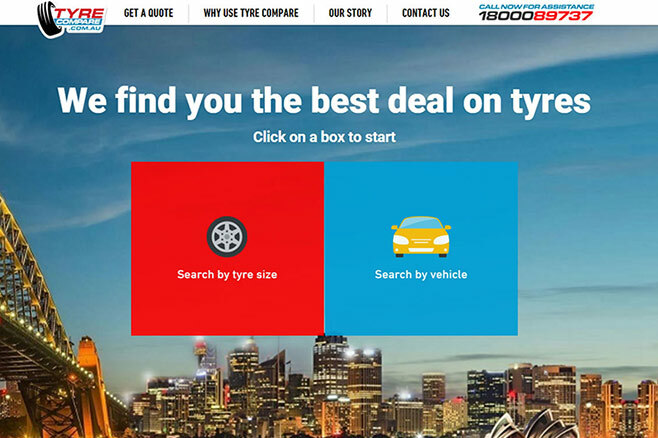 But now, thanks to TyreCompare.com.au, you can also reserve tyres online. TyreCompare is a price comparison website, similar to the comparison websites you see in the hospitality industry. It is a platform that allows you to find the tyres that you want, from a tyre shop that’s near you. And once you have found what you want, you simply hit the ‘Reserve’ button and the selected tyre shop will then hold the tyres for you and call you to arrange a fitment. It's free to reserve and you pay the tyre shop directly upon getting your tyres fitted. TyreCompare shows you what is in stock at the various tyre shops in your local area and aggregates the results so that you can sort by price or by distance. That way you can choose the deal that’s most suitable. There is no need to pay for shipping or fitting when you shop on TyreCompare, because the inventory is already sitting at your local tyre shop, ready to be fitted free of charge. TyreCompare is an innovative approach to shop for tyres, visit the website to find out more.